Car accidents are potentially devastating experiences that can be both physically and mentally traumatizing for those involved. While some car accident injuries are immediately obvious —such as severe lacerations or broken bones—others may not become apparent until days, weeks, or even months later. 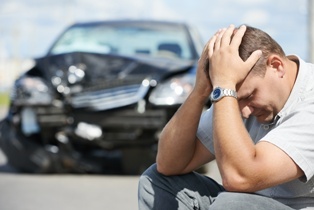 After being hurt in a crash caused by another motorist's negligence, car accident victims often rely on insurance payments or financial awards from the at-fault party to cover damages such as medical expenses, property damage, and wages lost while recovering from their injuries. However, if not properly addressed, late-appearing car accident injuries can threaten to throw a wrench in this plan, as insurance companies or defense attorneys may claim that these new injuries were unrelated to the accident in question. Fortunately, there are things victims can do to protect their ability to pursue damages for all their accident-related injuries and losses. If you were involved in a Wilmington, Delaware car accident that wasn't your fault and are considering taking legal action to seek compensation for late-appearing injuries, here is what you should know. Often, when people are hurt, they feel the pain and other symptoms associated with their injuries right away. However, sometimes when the body goes through a particularly traumatic experience—such as a car accident—it can trigger a natural coping mechanism known as an endorphin response. During such a response, the brain floods the body with endorphins, such as adrenaline, which mask pain and other injury symptoms, readying the body for “fight or flight.” As these endorphins fade in the hours and days following the accident, the injuries and their symptoms can be apparent or feel more painful than they did immediately after the accident. Seeking immediate medical attention. This is one of the most important steps victims can take to protect themselves after a crash. Victims should tell the doctor who examines them that they were in an accident and report any and all pain or injuries—even those that seem minor. Avoiding an early settlement. Insurance adjusters will often try to get accident victims to sign a release and accept an early settlement offer. While there are upsides to settling early, it can make it impossible for victims to recover compensation for injuries that appear after the ink on the settlement has dried. Consulting an experienced car accident attorney. When an accident is caused by another motorist's negligence, the victim may benefit from legal representation. A knowledgeable car accident attorney can help ensure that their client receives a fair settlement, and offer advice on when to settle or take the case to trial. Do You Need Help Seeking Damages for Late-Appearing Car Accident Injuries in Delaware? After being injured in a car accident that wasn't your fault, you want to be compensated for all your injuries—not just the ones you notice right away. The experienced car accident attorneys at the Morris James Personal Injury Group can help you fight for the financial recovery you deserve. Contact us today to schedule an appointment for a free initial case consultation.